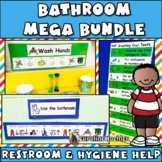 I created this story to help a student that would use the restroom wherever they pleased. It is a short story and can be sent home to parents so they can read the story to their students in the morning and at night. Please leave a review of my work and let me know what you think of the story! 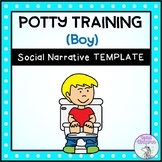 Simple and easy to use potty training plan with data collection chart. 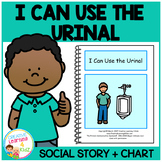 Make as many copies of the chart as needed for each child. File format is PDF, but some fields are editable.This would go great with my free potty training social story: Click here! This file is intended for students who are previously potty trained but still have accidents or have recently shown a regression. 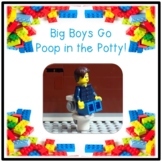 A Social Story reminding students that when they have to use the bathroom, they need to use the toilet and if they do they will be rewarded! Sticker chart included! 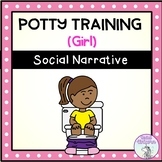 Potty Training can be difficult for any child. This social story explains toileting information with real pictures and ensures that your child will know what to expect from potty training. 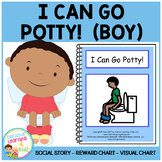 Adding a visual schedule to your potty training routine may help your child through the process.